Your articles on Destreza have really intrigued me. Is there a way to learn your living style of it as opposed to the reconstruction schools? Not unless you’re in the Rochester, NY area. There may be other folks who are practicing, but I don’t know of them. Sorry! York every couple of years. If so, may I get in contact with you? 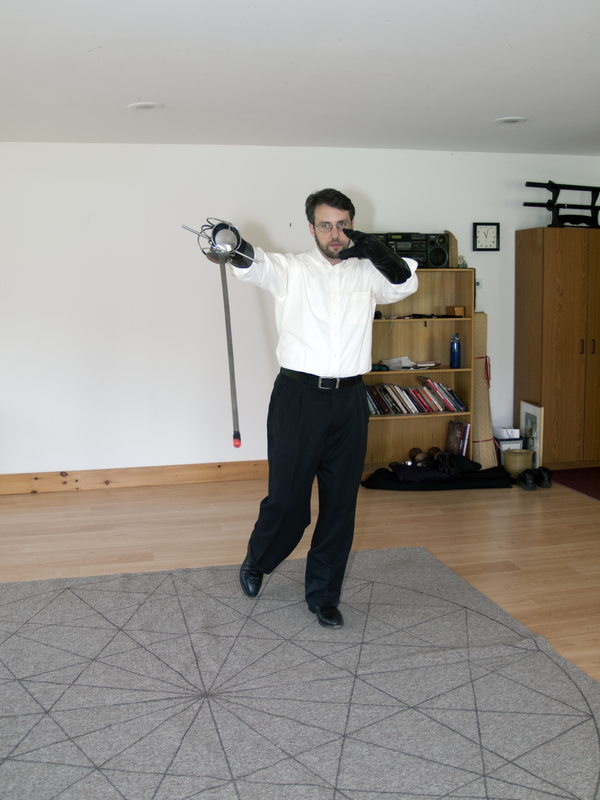 There really aren’t any other comparable rapier schools in the area that we might train with, though some of us fence with the SCA sometimes. If you’re in the area (Rochester), by all means let me know. Well written for something so intricate and complex. Martial training is a lifestyle well worth the work and a lifetime of dedication. Sweet! A fencing blog? I just found your site today. I am a karate-guy myself but I’ve always thought fencing hasn’t gotten the love it deserves – everything nowadays is all about MMA. Thank you. I will be in contact. This is Great! I have just started learning here in Spain and although my Spanish is good it’s really great to have this insight. I am especially interested in your belief that you are the inheritor of an un- broken tradition. Would it be possible for you or others to investigate the tradition, via your teacher and the guy in Panama of his family? Unfortunately, my teacher isn’t particularly interested in the history of his arts, and I don’t have any way of tracking down his teacher. “Belief” is perhaps a bit strong – it’s just the story I was given, and I don’t have any way to prove it true or false. Regardless, it’s an effective sword art that I was taught under the LVD name, and it bears clear resemblances to the art discussed in the historical references, so I certainly believe that they’re related. Funny how people’s relationships with the past vary so enormously.